Vidyut has been learning Bharatanatyam from the age of 8. When she was 11, she started her training under the able guidance of Guru Smt. Manik Ambike from Kalakshetra gharana. She completed her margam and Arangetram (First dance show after graduation - BA in Dance) in 2001 and continued to learn further. She also started teaching Manik tai’s junior students for a few years after that. With her guru’s permission, she learnt various padams and choreographies from different gurus. Vidyut being a Sangeet Visharad (BA in music), simultaneously took formal training from Guru Smt. 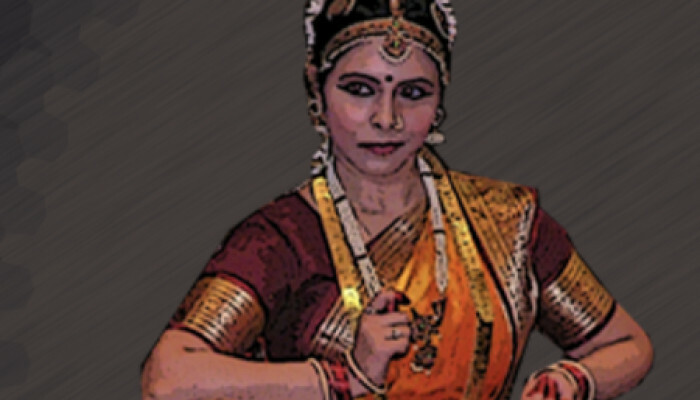 Rajalakshmi Pichumani for karnataki music to accompany Arangetrams and other traditional Bharatanatyam programs for vocals. She has performed and choreographed many shows in India. She has also won several awards and mentions for her dance performances. To broaden her horizons, Vidyut learnt Rajasthani folk forms in India. Later, while studying for Masters in Product Development engineering in USC, she stayed in touch with her passion by learning the basics of hip-hop and jazz. Along with her various performances at local community events in Los Angeles, she performed as a lead in a musical in L.A. This musical was based on an Indian poetess 'Bahina Bai' and was very well received by 2000+ audiences. Vidyut performed in, and choreographed a fusion of Bharatanatyam, Kathak and Flamenco along with live music and painting, which was performed in BMM convention 2015 in Anaheim Convention Center for 4000+ audiences. She was also a part of a semi classical dance in the same show. While working as a product marketing consultant she decided to start NrutyaSaadhanaa Dance Academy in 2015, where she teaches Kalakshetra style of Bharatanatyam. She focuses on the graceful line work and perfection in dancing.